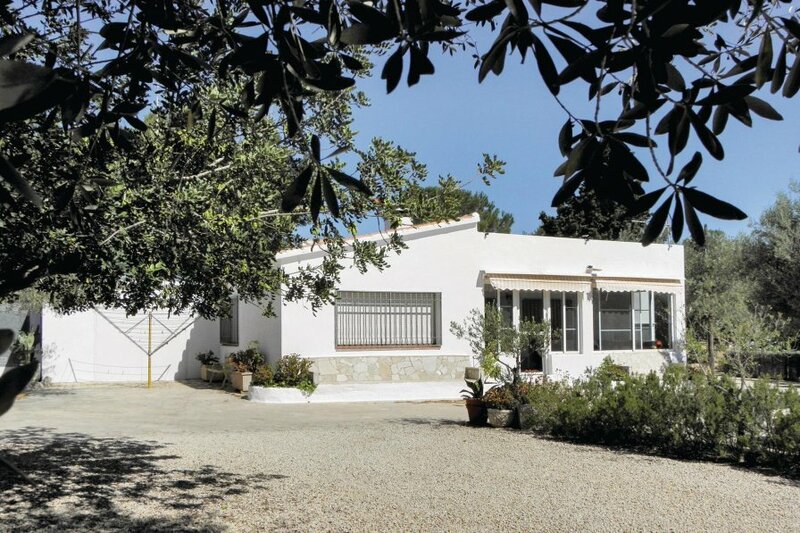 This beautiful holiday home is located in the quiet urbanization Las Tres Calas de l'Ametlla de Mar. In just 3 km you reach the beautiful bay of Cala Vidre, one of the most beautiful of the entire Costa Dorada. On a level of 70 m² living space are the living and dining room, 4 bedrooms, a bathroom, the separate kitchen and a glazed terrace. In the beautiful outdoor area you will find a barbecue and a shower on a plot of 1600 m², where you can park up to 4 vehicles. The Costa Dorada is known for its fine sandy beaches and hidden coves of crystal clear waters. From snorkeling and water skiing to windsurfing and parasailing you can experience everything here! Even the small fishing villages in the area are worth a visit, especially because of the regional culinary offer. The area is also ideal for day trips with the whole family, such as the Port Aventura amusement park, which offers a range of activities such as the famous Circus Circo del Sol and Ferrari Land or the Aquapark and Dolphinarium Aquopolis. This solidly constructed modern villa was built in 1972. The agent has rated it as a two star property so it is a plainly furnished villa with limited facilities. It is ideal for a cheap holiday. This villa has mountain view and is located in Les Tres Cales, only 4km from Ametlla de Mar. The nearest airport is only 35km away. It is set in a convenient location, 3km away from a stone and pebble beach and 3km from a sandy beach. There's also a restaurant 1km away.